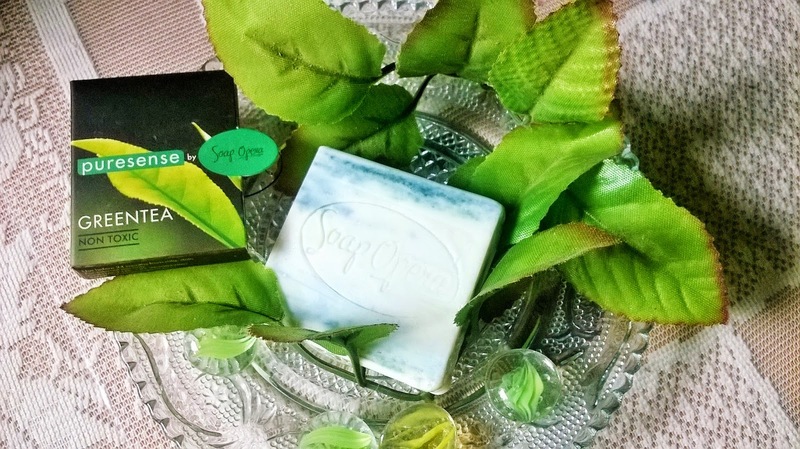 As you know I have received few soaps for review from Puresense by Soap Opera which I have been trying for more than a month now. 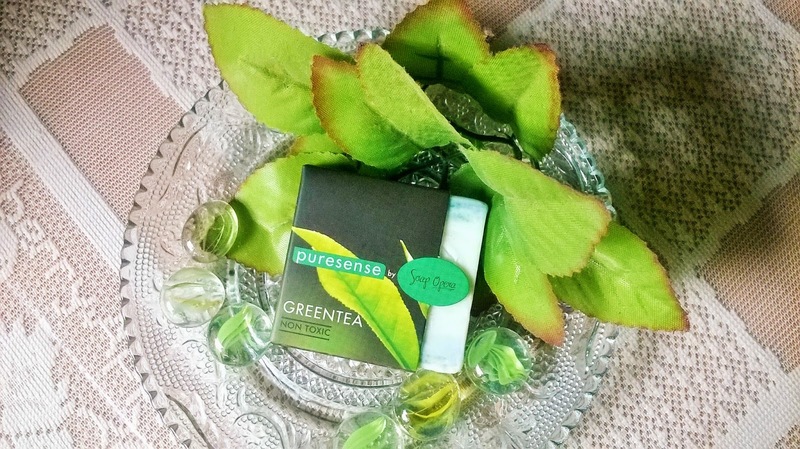 Today I will be telling you about the Puresense by Soap Opera Green Tea Soap. 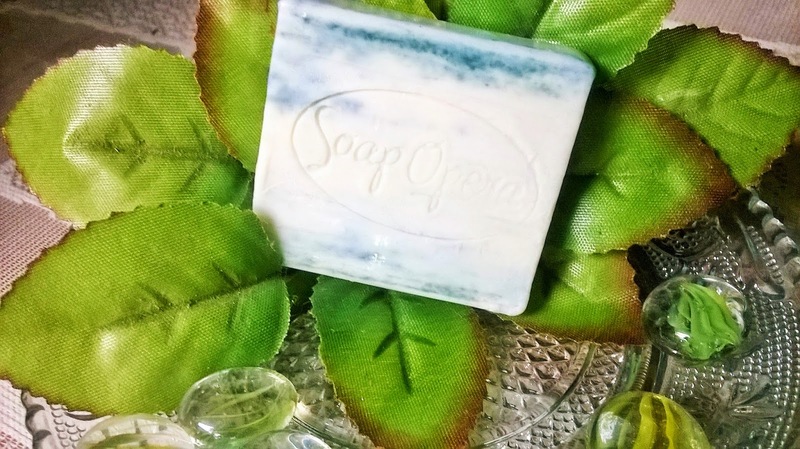 Soap Opera Puresense Spice Soap Green Tea is infused with essential oils and olive oil. 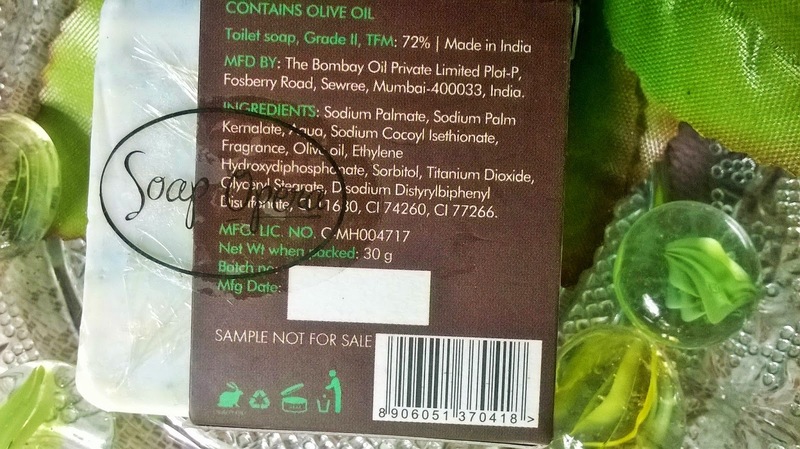 Packaging: Puresense by Soap Opera Green Tea Soap is packaged in a outer slide on cardboard packaging and the soap is secure in a wrap up plastic. 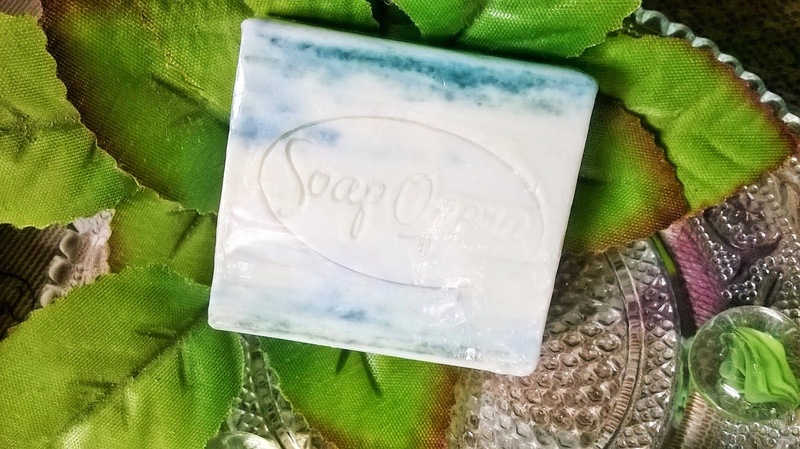 Product: The soap is a lovely light green in colour with a lovely fresh smell. 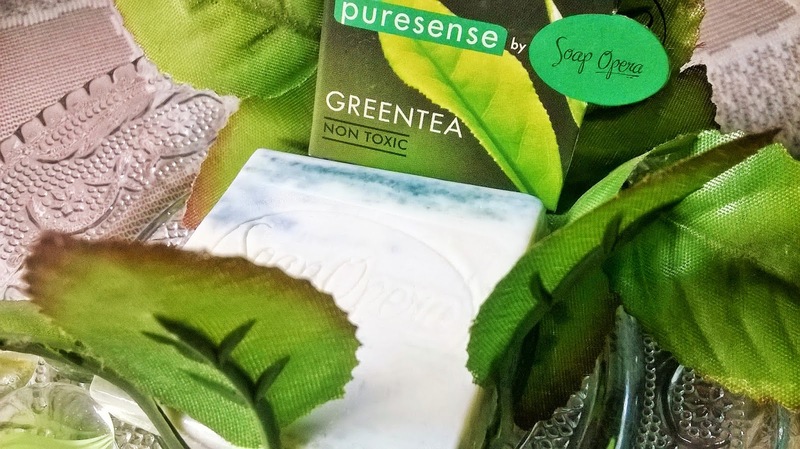 My Experience: Puresense by Soap Opera Green Tea Soap is a wonderful soap that everyone will find refreshing and soothing. The soap is very hydrating and hardly you will find your skin is left dry. Who does not like the tender touch of green tea. It is a known agent rich in antioxidant properties. So the soap definitely improves the skin's texture after using for a while. 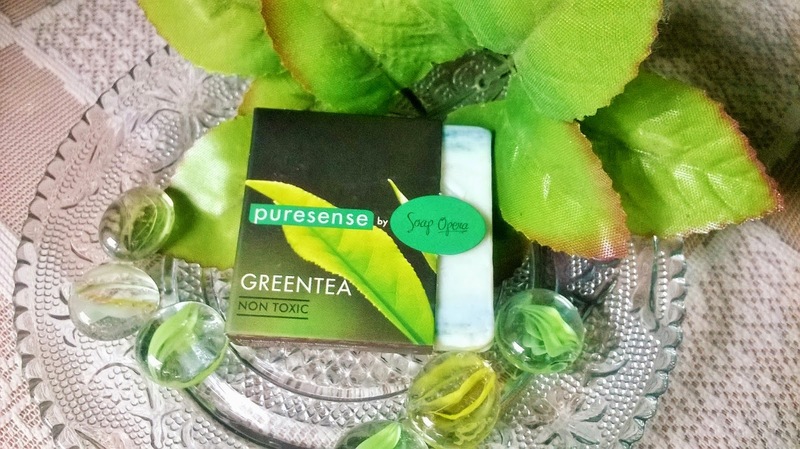 Puresense by Soap Opera Green Tea Soap smells so fresh and energetic that you will surely get recharged by a shower. I like the way it smoothly cleanses the skin and the skin's soft after effect. The smell however does not stay for a very long time. And of course the skin needs a bit of moisturizing after some time. 1.The smell does not stay for a very long time. 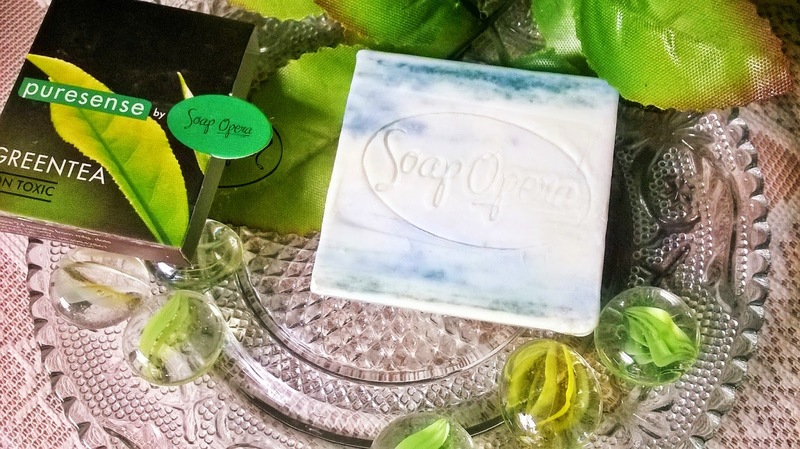 Puresense by Soap Opera Green Tea Soap is a very refreshing soap that has superior qualities to hydrate the skin and make it soft. A nice buy for anybody who loves spicy fragrance. 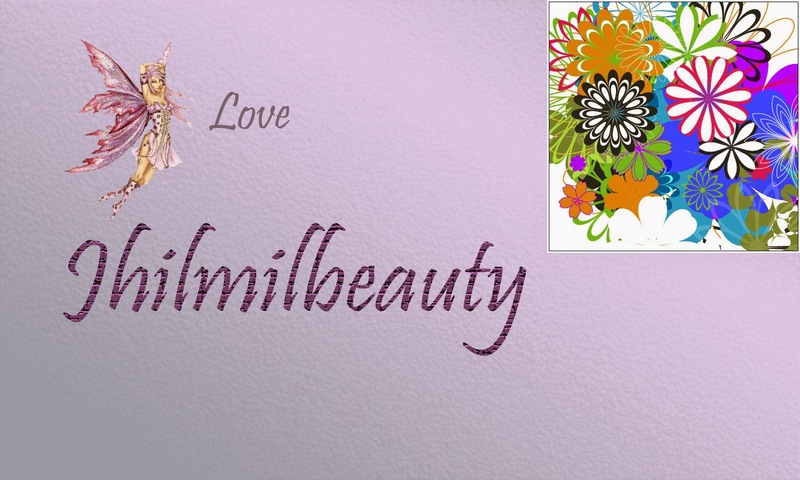 You can check the entire range of spicy soaps here.